So – you want to summit the Everest? Everest Base Camp? Kilimanjaro? A mountain close to you? No? You want to complete an Ironman? A Marathon? 5k charity run? No? You want to get more time for yourself? You want to get fit and healthy again? Do I hear – a Maybe? Setting and achieving a goal feels amazing, would you agree? So what’s the reason so many people don’t even bother setting their goals, while others don’t achieve the goal they set? AND – so sorry – I must break your world of limiting decisions – those are simply, just your – EXCUSES! Yes I did – I have just call you lazy and I called your “reasons” – excuses and limiting decisions! Well – the best you can do is to start setting yourself goals and start achieving them! It feels AWESOME – and also – you can prove me wrong! Be very specific what is that you want to do, have or be. Goal needs to be set so simple that even 3 years old kid can understand it! Set a goal that is meaningful to you. It must be something YOU really want to have, do or be – something you are totally nuts about! By just even setting your goal you should be able to “act as if now” – you should practice visualizing yourself achieving it – walk and talk like you are already there! Why? That will actually help you break all those fears, doubts and limiting beliefs and it feels – AMAZING! Take 110 % responsibility for your goal! One of the main differences between achievers and non-achievers are actually in taking ownership of the set goal. Set a deadline to achieve it – put exact date, even the time of reaching your goal and place that date on your fridge, office desk, in your diary etc. – so it keeps you on track! 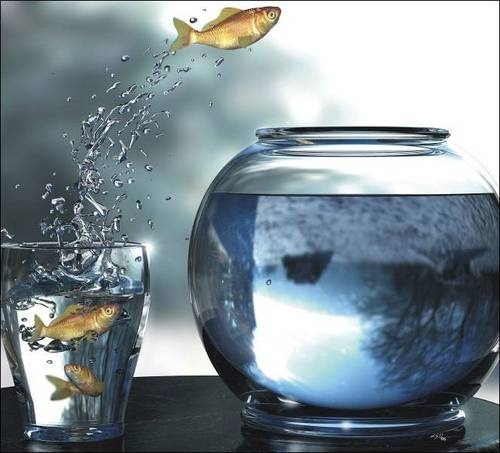 Set towards ( positive ) goals – in another words – write, think, speak about what you want and NOT what you don’t want! Plan a celebration of your reached goal – no matter how small or big your goals are, do reflect on the time it took you to achieve it and feel proud about yourself! Training my mind and body is becoming an amazing and addictive adventure as I approach the date when I’ll be flying off to Kathmandu and Tibet on April 4th 2013. These days I’m very focused on the physical part of the training and I have achieved incredible personal marks, getting stronger by the minute and smarter on the way I train. During this fantastic journey I’m looking for new ways to build up stamina and mental toughness, reading quite a lot about the subject and trying different things by myself. 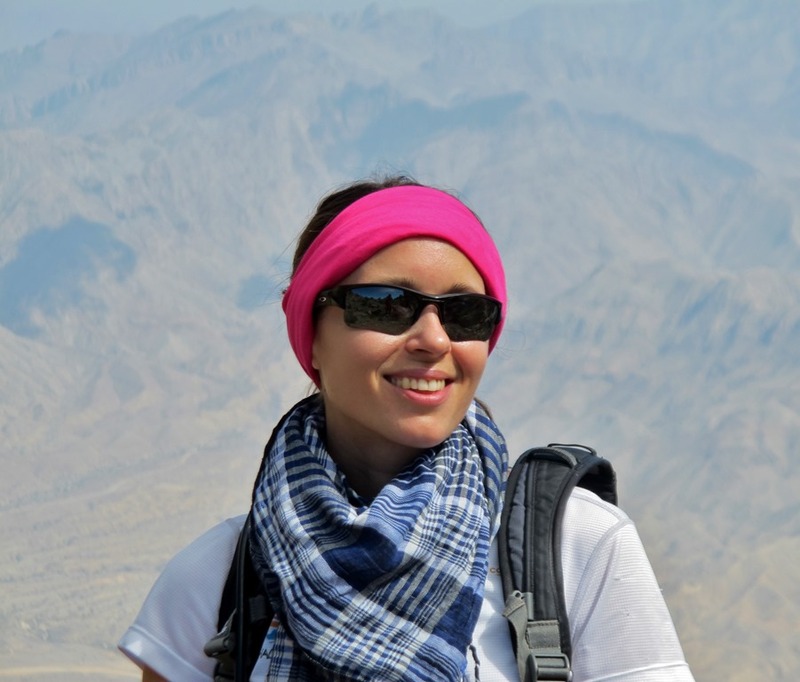 Very recently I crossed paths up in the highest mountain in Oman, Jebel Shams, with a coaching specialist and endurance athlete, and I’m very happy to say she is determined to help me diving into fears and looking for strengths as we develop a strategy to feel not only physically strong but also ready to conquer the Top of The World. “Angelica Horvatic is a passionate Wellness Coach with over 3 years experience in London and 8 years in Dubai. After four years of Law University she decided Fitness and Health would be her true career direction. It was a long and daunting process as she first needed to lose about 20kgs and dramatically change her own approach to food and the exercise to be actually able to help others. At the same time as helping others achieving their goals, she has pushed her own limits – from total non-sporty kid who struggled with the simplest exercise tasks in the school, overweight 20 yrs old with very poor posture, back and other aches – she is today more than successfully running the marathons, competing in numerous adventure races and world championships, winning the fitness competitions. Using her experience, Wellness Coaching, Neuro-linguistic Programming and Hypnotherapy she helps people break their bad routines, remove their limiting beliefs and negative thinking patterns and encourage them, instead, to move forward and develop new, successful and positive habits towards their wellness goals. Mount Everest is the Earth’s highest mountain, with a peak at 8,848 meters above sea level and the 5th tallest mountain measured from the center of the Earth. It is located in the Mahalangur section of the Himalayas and it was first ascended by Tenzing Norgay, Edmund Hillary on May 29, 1953. Exactly 60 years after that I’ll be standing up on the highest point on Earth. It all depends mainly on weather, but I’m hoping to make my dream come true at some point between May 25th, my 35 birthday, and May 29th the most significant date in the history of mountaineering as we know it these days. In order to prepare for this challenge I have climbed many other mountains, not too high in most cases, but with passion, determination and the right training I’m sure I’ll be able to cope with the extreme altitude and severe weather conditions. Training in Dubai to climb Mt Everest might seem foolish, but I’m absolutely convinced this place is not only a gateway for many expats looking to make their dreams come true from the “financial” point of view, but also for some of us who get inspired by those who managed to transform a small city located southeast of the Persian Gulf, into the cosmopolitan metropolis that has grown steadily to become a business and cultural hub of the Middle East and the Persian Gulf region nowadays. The idea of “nothing is impossible”, who is bringing Dubai to the focal point of citizens around the world, is what it drives people like me to attempt our Everest Dream, standing on the highest point on Earth and coming back safe an happy to share the story with others, while changing our own perception of the World. On top of that, in Dubai we have a big advantage when it comes to train for positive gradient every day. Not many people can go on a long drive to hike 1200m or as higher after work. And that applies to citizens of Dubai as well as those living in Chamonix, France. However what we have in Dubai is the largest number of skyscrapers in just one town. That allows me to train for positive gradient in many different buildings whenever I want. Last year I was visiting friends and climbing the staircase in the buildings where they live. Dubai Trade Center, Dubai Marina, Greens, Tecom, JLT… the possibilities are endless and the result is that you get stronger by the day. by Mach 30th right before I leave to Tibet and Everest. My training plan is ambitious and cannot be executed in random places, so I was a bit concerned about finding the right building where to train two-three times per week. Then I looked at the DMCC Almas Tower in JLT, the tallest commercial building in the Middle East, located just 10 minutes away from my house in The Springs. This 63-floor purpose built tower is home to over 300 regional and international companies from the entire value chain in the diamonds and colored stones sector. Almas means Diamond in Arabic, and I felt like discovering a mine when I first heard back from Patricia Adem, from the JLTCommunity Services team in DMCC, after I sent one email with my expedition dossier and request to use DMCC facilities to train every day. Patricia and her colleague Andrew Fairie kindly accepted to hold a meeting were to discuss the best way to help me achieving my goals, and few days after that I was provided with authorization to use Almas Tower facilities as a gateway to the summit of Mt Everest. Dubai Multi Commodities Centre (DMCC), a government authority established in 2002 to enhance commodity trade flows through Dubai, performs several roles which have firmly established Dubai as a regional and international trading hub. DMCC regulates, promotes and facilitates trade across a range of commodities sectors, including gold, diamonds, pearls, precious metals and tea . It is also the licensing authority and the master developer of the JLT Free Zone which is home to over 5,900 companies and over 55,000 people living and working across 64 towers. Major multinational companies (the likes of DeBeers, LVMH, Harley Davidson, Tilda and Damas) as well as small and medium enterprises across all sectors have made the Jumeirah Lakes Towers (JLT) free zone their home. And today I am proudly sponsored by DMCC and I used the Almas Tower to climb up and down 4352 floors, 16552m vertical distance and 8276m cumulative elevation in only 10 nonconsecutive days. 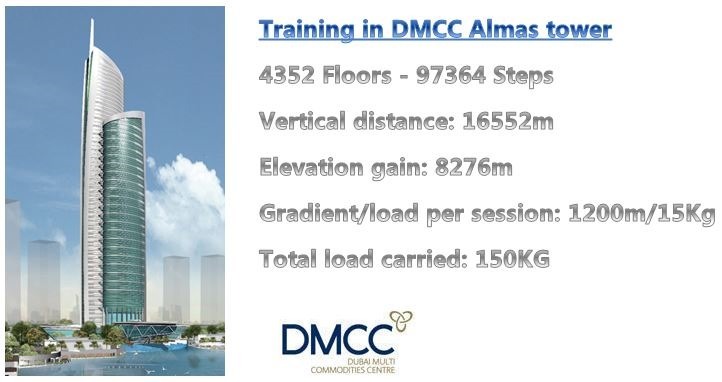 And this is just the beginning… With DMCC’s support I will climb three times the altitude of Mt Everest (8848m) in the Almas Tower before I leave to conquer the Top of The World! At that point I visited a fantastic doctor specialized in sports medicine. 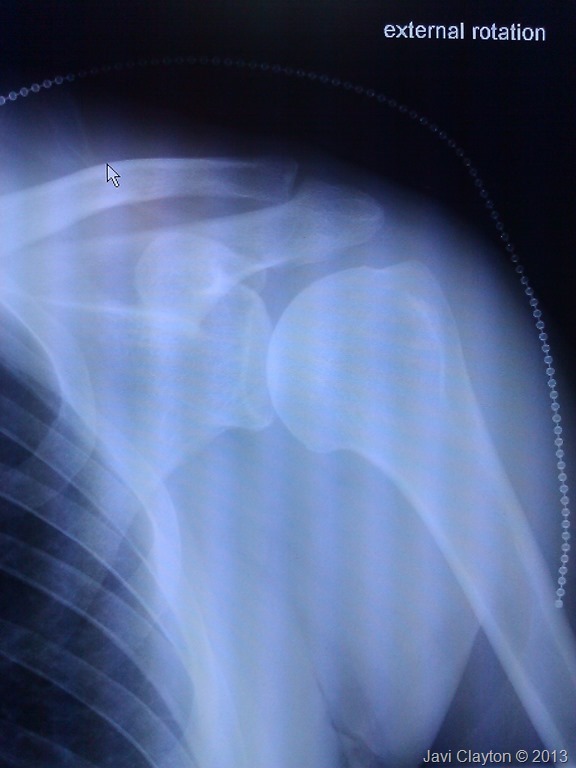 Dr. William D. Murrell, Orthopedic Sports Medicine Surgeon, was the doctor who was taking care of my injured shoulder after I crashed my motorbike and had surgery done on 2010. He did a good job with my shoulder and so I asked him to assess the problem in my knees. He started the investigation by analyzing x-rays and MRI from the knee more prone to develop pain. To my surprise and happiness, the doctor concluded I had a perfect knee and therefore the reason for the pain should be hidden in my regular training habits. He asked me to visit a personal trainer to do a functional assessment. I was a bit disappointed with the outcome of the investigation, since I was expecting the doctor to use a magic stick to pull a solution out of a hat. I love outdoors and I’ve been always against gyms and personal trainers. Then Dr. Murrell offered me a deal. He would write a referral letter for the insurance to cover the cost of the functional assessment and I’d be able to get reimbursed for it. I contacted my medical insurance and they approved it. That was a smart decision since it saved them a lot of money from medical consultancy, physiotherapy sessions and other costs that otherwise I would have been incurred as result of the pain I was suffering in back and knees. The personal trainer did a fantastic job assessing my training and dietary habits, and in very few session he helped me identifying mistakes that at the end of the day are quite simple but make a huge difference when you try to train extremely hard to perform well at the highest mountains on Earth. He did not have a magic stick, he just helped to open my eyes and realize how ignorant I was. Running 10k fast pace, and finishing with a shower, grilled vegetables and plain water, is the perfect example of what to do if you want to visit the doctor with pain everywhere every week. Insurance companies are also quite ignorant since they are reluctant to invest on things like that functional assessment, food intolerance or allergy tests, which will save them lots of money on the long term. After that brief experience with the personal trainer, I decided to investigate on my own and improve many aspects of my training and lifestyle, focusing on cross training, diet and rest. I have improved and learned a lot by myself, but once I decided to go my first eight-thousander I had to recognize I’m just an IT Geek and seeking for advice from the very best experts will definitely improve my chances to summit. At that point I was following my good friend Ismael Blanco. Ismael is one of these guys who make his passion for sports and fitness a way of living, but he is not the standard one. I know too many people in the sports business that is as knowledgeable as I was when I injured my knees. Ismael is a certified Master Trainer on Functional Training, and he holds many years of experience working as personal trainer in Dubai and Spain. But most important, Ismael is one of this endurance guys who is able to break all physiological limits, setting records that you don’t even know could ever be set. I still remember when I first met him and he told me that story about how he totally changed the fitness level of his main customer before they went together for a long run up to the Annapurna Basecamp in Nepal. They looked for the stronger guide in Nepal that could follow and lead them on the trail, but they almost killed the poor guy who could not keep up with their pace after few days… and you know these Sherpa people are made of a different paste! 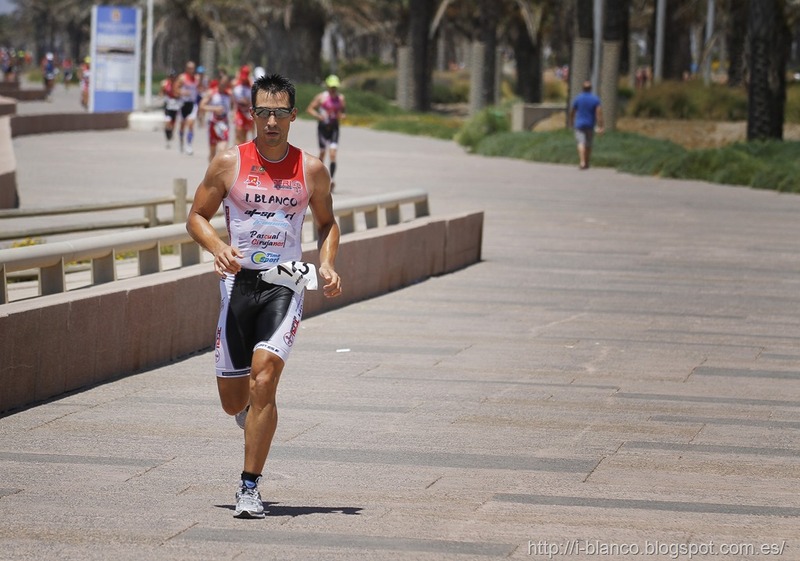 Ismael has been very active in the competition world last year, having an outstanding performance on the Duatlón 101km de Ronda, VII Triatlón Ciudad de Almería, Emotion Extreme, AXtrail® series UTAX, I Duatlón Ciudad de Almería and the Duatlón Desafio Almería… all of that in only one year! He seem to have no limit, he is like Forrest Gump but he does not eat chocolates because he also knows what it takes to build a body able to cope with the 166km of a mountain ultra-marathon! The plan is divided in blocks of 5 weeks with the last one being a regenerative week. Total length is 14 weeks starting from Dec 30th. It’s a follow up on the standard plan I had for my preparation for Khan Tengri last year, but it incorporates a progression on the positive gradient during my training sessions in the stair case. Less weight in the backpack and more series of same gradient in each training session, increasing either the gradient or series in a very smart way. Before I was more focused on accumulating gradient and weight than any other thing…. Now I work on building up endurance gradually for 4 weeks to finish on the 6th week with a long hike of a minimum ascent equivalent to the cumulative gradient of the last week. The plan is very ambitious, and on the final week, around March 30th, I should be able to cope with a positive slope of 2000m in one day. Cross training sessions include bicycle or elliptical machine as well as gymnastics. 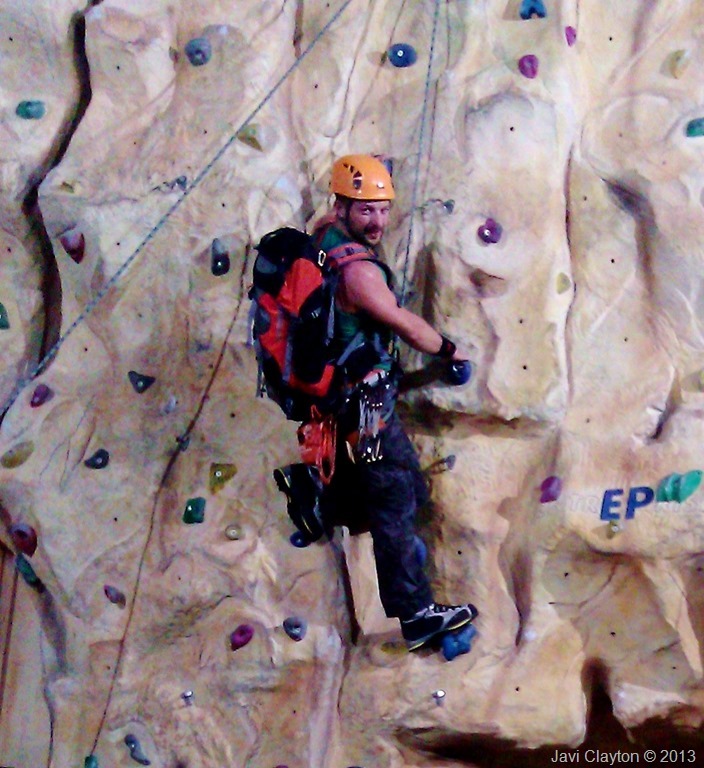 Work on the climbing wall is kept as usual, since we both believe on the benefits of this. In the second block we incorporate hypoxic training sessions in a high altitude chamber in Dubai. Two training sessions followed by brief work on the climbing wall. Core endurance and stabilization are included in almost every training session. 1h stretching and foam roller workouts are performed regularly with the exception of the rest days. As for the diet, I will write a dedicated article on this, where I’ll include specific details on the menus and supplements used during these 14 weeks. I want to finish with a GIGANTIC THANK YOU to my good friend and outstanding athlete Ismael. I strongly suggest you to follow him on his astronomic progression in the world of Trail Running and Triathlon.